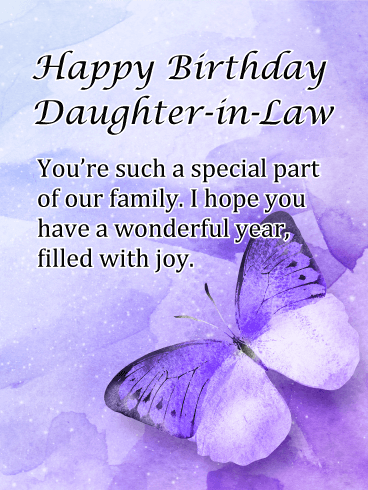 Delightful butterflies and a beautiful blue sky make for an outstanding birthday card to send to your daughter-in-law. 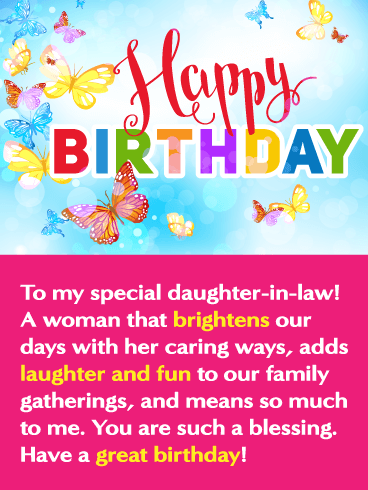 The creative and colorful happy birthday lettering will catch her attention as soon as she sees it. When she reads that she brightens your days and adds fun to the family gatherings, she will feel very special! 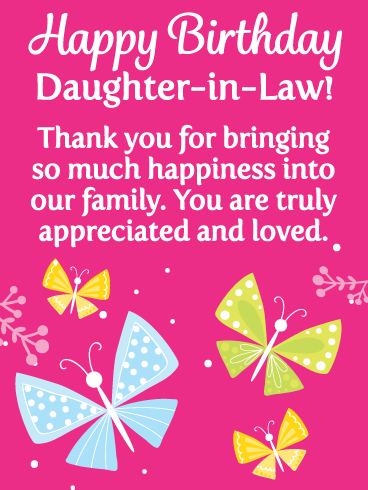 Let your daughter-in-law know soon that she is a blessing and a joy with this incredible birthday card!